With fears of a catastrophic galactic collision mounting, the United States will join a transnational consortium aimed at making outer space a more navigable enterprise. "Unless the international community addresses these challenges, the environment around our planet will become increasingly hazardous to human spaceflight and satellite systems, which would create damaging consequences for all of us," Secretary of State Hillary Clinton said in a written statement Tuesday. The United States will join the European Union and other nations to develop an International Code of Conduct for Outer Space Activities. When implemented, the code would establish an international framework for the responsible use of space. With the number of satellites in space that keep everything from global commerce and daily communications moving to weather forecasting and global navigation, the danger of a collision in space has escalated over the past decade. Canadian police have charged a naval intelligence officer with leaking government secrets to "a foreign entity," the first time such charges have been laid under a secrecy law passed in Canada after the September 11, 2001, terrorist attacks. Sub-Lt. Jeffrey Paul Delisle is charged with breach of trust and communicating safeguarded information to "a foreign entity" without lawful authority, police said. Delisle is set to appear in a Halifax, Nova Scotia, courtroom for a bail hearing on January 25. The charges carry a maximum sentence of life in prison. In a statement released to CNN, Royal Canadian Mounted Police Commissioner Bob Paulson wrote, "Notwithstanding the seriousness of these charges, the RCMP is not aware of any threat to public safety at this time from this situation. This investigation demonstrates that Canada is not immune to threats posed by foreign entities wishing to undermine Canadian sovereignty." The Afghan air force officer who killed eight U.S. airmen and a civilian contractor in an April 2011 shooting at the Kabul headquarters of the Afghanistan Air Force acted alone, a U.S. Air Force investigation has concluded. But the exhaustive report describes a shooter who was radicalized and vocally anti-American at times but at other times interacted with American mentors and trainers in his capacity as a pilot. A copy of the investigation report was posted on the Air Force website on Tuesday. "While the investigation did not determine a conclusive motive for the killing, the attack appeared to be premeditated." The investigation suggested he had "personal issues that were possibly compounded by alleged financial problems." The April 2011 incident was one of the worst attacks on U.S. military in the 10-year war. The shooter, Ahmed Gul, walked into a conference room in the Afghanistan military wing of the Kabul International Airport and fired on the military trainers in the room before exiting and continuing to fire. 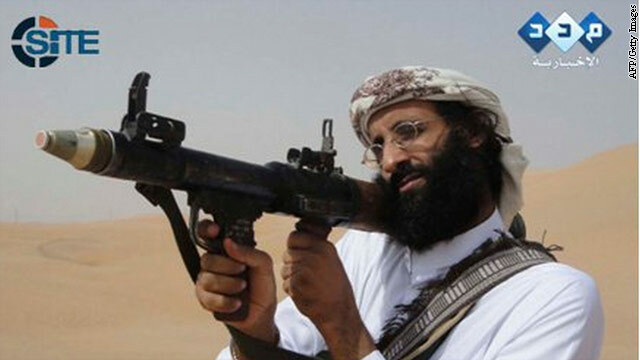 The September 2011 U.S. drone killing of American-born Muslim cleric Anwar al-Awlaki has not had a big impact operationally on Al Qaeda in the Arabian Peninsula, the Yemen-based group in which al-Awlaki served as a spokesman, according to former CIA chief John McLaughlin. McLaughlin, speaking during a Washington panel discussion, said AQAP now controls, or exercises influence in, about half of Yemen. "I don't think it (al-Awlaki's death) had a big impact on them operationally," he said. "It's had an impact in the sense that he was their principal spokesman to an English audience. Their leadership is still there." During his tenure as National Security Advisor to the President, James Jones evidently spent his time sifting through intelligence, and not surfing the Internet for good deals on stilettos or pumps. Jones's apparent unfamiliarity about some on-line shopping sites became clear Tuesday during a panel discussion, during which Jones pontificated about how the threat of cyber attacks impacts "everything we do." "Zappos," interjected moderator Jeanne Meserve, referring to the popular online shoe store, where hackers recently accessed information about millions of customers. "Pardon me?" Jones said, perhaps thinking "Zappos" was code. 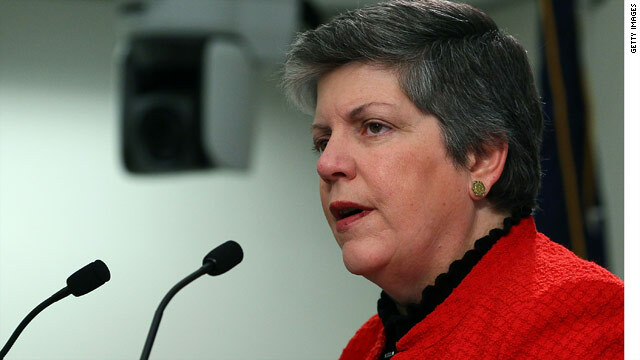 Homeland Security Secretary Janet Napolitano came to his rescue. "We know what Zappos is. Not to worry," Napolitano said to Jones. 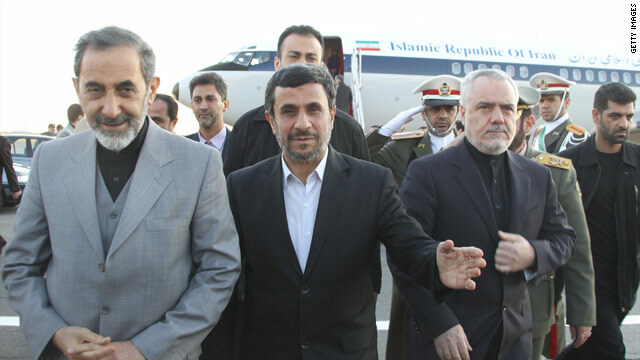 What to do when your plane crashes over Libya? According to two U.S. airmen: eject from the aircraft, stay on the run - and call dad. The U.S. aerial bombing campaign over Libya was just two days old last March when F-15 pilot Maj. Kenneth Harney and Capt. Tyler Stark got their mission - conduct airstrikes against Moammar Gadhafi's forces near Benghazi. Harney would pilot the F-15 in the front seat. Stark, a weapons system officer on his first combat mission, was in the back. In exclusive interviews with CNN, for the first time both men told their harrowing story of what happened that night when their plane crashed. They had not been permitted by the Air Force to talk until a months-long investigation was recently completed. The two sat down with CNN at their home base in Lakenheath, England. 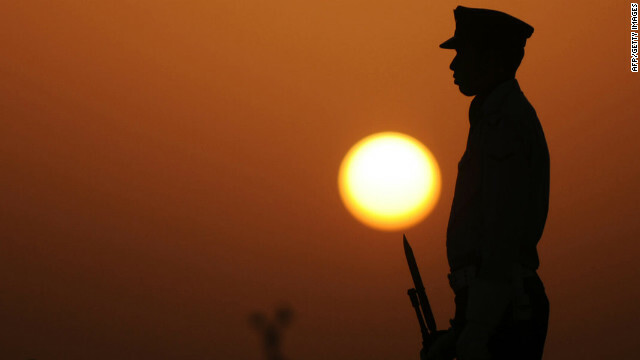 Budget pressures, here and abroad, may cut into security initiatives. But Homeland Security Secretary Janet Napolitano said Tuesday those same money pressures argue for improved coordination between the U.S. and its allies. "Budget pressures I think, on all of us, requires us to act more internationally," Napolitano said. "We have to leverage resources with one another." Former CIA acting director John McLaughlin said the U.S. can engage Iran through diplomacy, sanctions or military action, but said military action "would be a very bad option." Speaking during a panel discussion in Washington, McLaughlin, who served as acting director of the CIA in 2004, said direct military action with Iran could grow to involve Hezbollah, the militant group based in Lebanon. Col. James Pohl, the judge in the military commission hearing for Abd al Rahim Hussayn Muhammad al Nashiri, a suspect in the USS Cole bombing, has ordered Rear Adm. David Woods to testify Wednesday in the hearing. His testimony will focus on his order under which legal mail between Nashiri and his lawyers is read by government officials. Some legal ethics experts have said the order violates the privilege of private communication between an attorney and his client. Pohl is presiding over a two-day hearing in which he'll address ten motions filed by both the defense and the government in the upcoming capital trial against Nashiri. 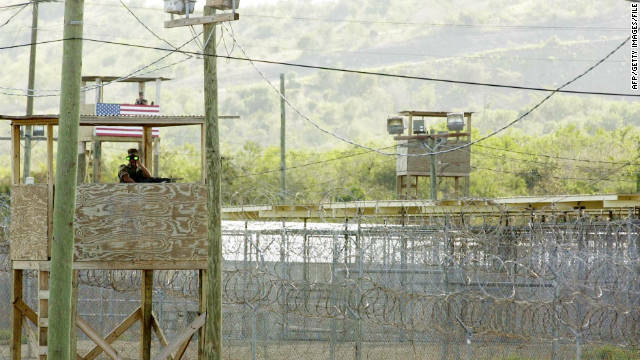 Earlier Tuesday, he granted a motion filed by the government and supported by the defense that would allow for more public viewing opportunities of the closed circuit hearing from Guantanamo Bay Naval Base, where the hearing is being held and the United States. Right now the public is allowed to see the live closed circuit feed at Ft. Meade, MD. Both sides agrees it should made available to the "widest possible" audience. Pohl granted the motion. Pakistan is facing its most serious political crisis in years, with rapidly escalating conflicts between the civilian government, the military and the judiciary, against the backdrop of a faltering economy, widespread poverty, corruption and the bloody war with Islamist militant groups. The country was founded in 1947 as a democracy, but in times of crisis the army - Pakistan's most powerful institution - has overthrown the civilian government on the grounds that the leadership had been unfit and corrupt. Rumors of another coup have been swirling around the current crisis - but analysts say a military takeover is highly unlikely this time around. Read Reza's reasoning here. Tell us what you think in our "Comment" section.